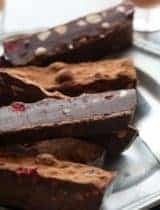 An easy, no-fuss paleo and vegan fudge recipe packed with deep chocolate flavor and studded with tart dried cherries and nutty pecans. 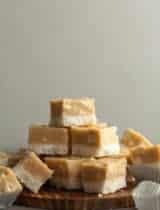 Out of all the sweets and treats we make, offer and eat during the holiday season, I always look forward to fudge. 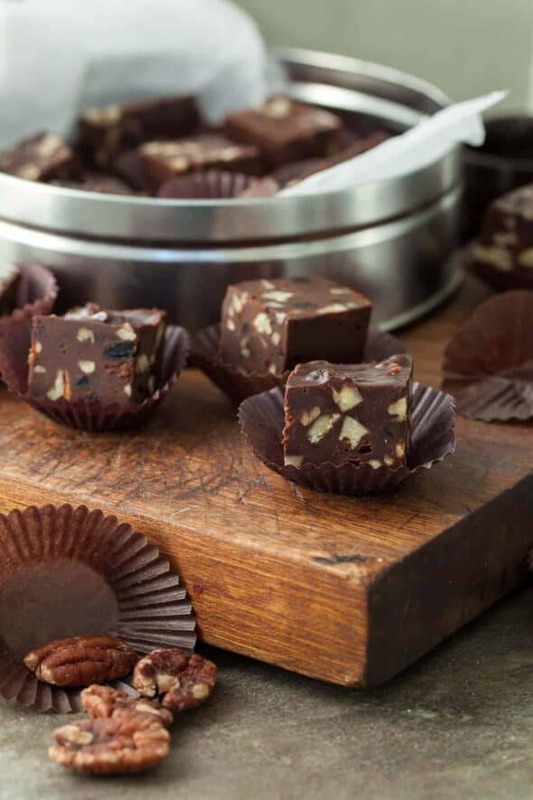 Don’t get me wrong, I never pass up an opportunity to whip up some of my favorite cookies or any chocolatey treat for that matter, but there’s just something extra special about a batch of homemade fudge this time of year. 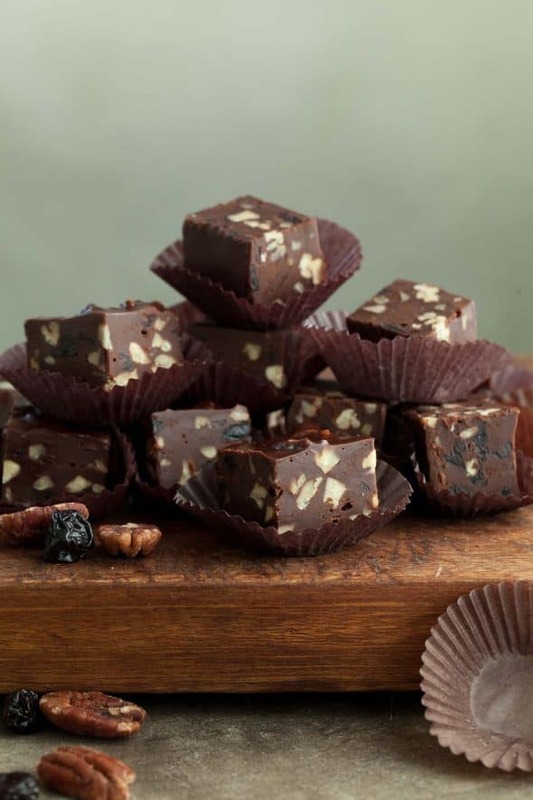 Deliciously dense, yet with a melt-in-your-mouth creaminess, fudge is always a crowd-pleaser around the holidays or any time of year. 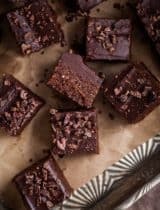 While traditional fudge can be a labor of love with its precise temperatures and techniques, this foolproof chocolate fudge comes together quickly and easily, no need to get out the thermometer or wait for ideal weather conditions to make it. 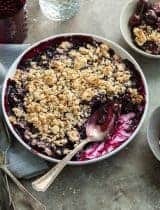 This is the kind of recipe you can throw together the night before the holiday party or keep in the fridge all month long in case guests drop in. 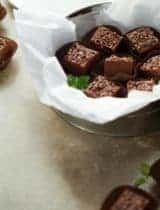 It requires a minimal investment of time and effort yet produces a rich and creamy fudge with a deep chocolate flavor that’s entirely dairy and processed sugar-free! 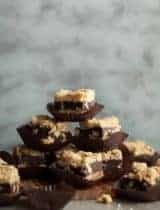 A combination of unsweetened chocolate and cocoa powder delivers a deep chocolate flavor, while toasted pecans and tart dried cherries add an extra layer of tastes and textures. 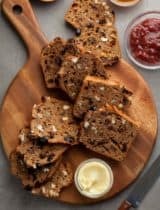 It has a bold dark chocolate flavor without being overly assertive or bitter in any way (perfect for your most ardent chocophile) but is also kid-friendly thanks to the toasty bits of pecans and chewy cherries (my little one practically devoured a batch all by herself). 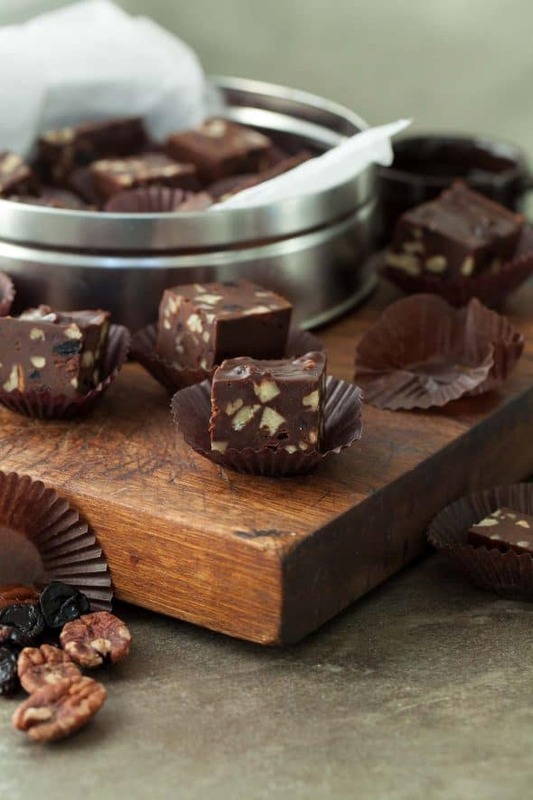 A batch makes a great addition to a dessert platter or homemade hostess gift. You can store the fudge in the fridge packed in little boxes ready for giving, just don’t forget to save a few pieces for yourself! Line a 9-inch loaf pan with parchment paper, extending paper over edges in a sling. Place coconut sugar, arrowroot flour and cocoa powder in a high speed blender and pulse until fine and powdery. Combine palm shortening, coconut milk, chocolate, vanilla and salt in large heat-safe bowl. Place bowl over a small saucepan of simmering water. Stir gently with a spatula until fully melted. Stir in powdered sugar mixture; remove bowl from heat. Beat fudge, scraping the sides of the bowl until smooth and glossy. Mix in chopped nuts and fruit. Spread into prepared pan. Cover and refrigerate until firm (or overnight). Cut into squares. Store fudge in a covered container in fridge. Oh my goodness, this looks delicious! Fudge is my all-time favorite holiday treat! Hi Paula, sorry for the confusion. The powdered sugar mixture is actually made in the first step when you pulse together the coconut sugar, arrowroot flour and cocoa powder in a high speed blender until fine and powdery. This makes a powdered sugar mixture that is then stirred into the melted chocolate mixture. Hopes that clears up any confusion! I love cherry flavored fudge. They look so adorable and will make the best holiday gift ever! I love how you made your own powdery sugar here! Such a unique recipe - can't wait to try. 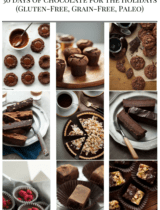 You cannot go wrong with chocolate + pecans! Love this simple and festive recipe!